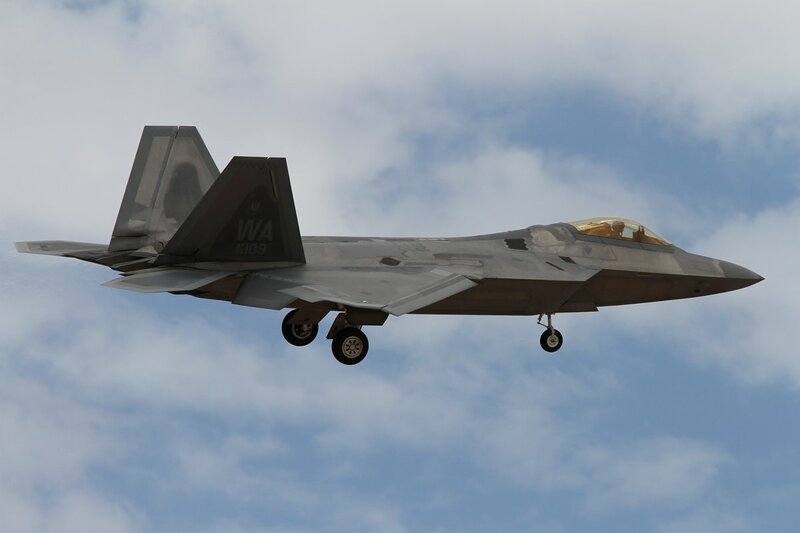 Red Flag is the premier joint aerial combat training exercise aimed to prepare combat aircraft for real world contingencies. 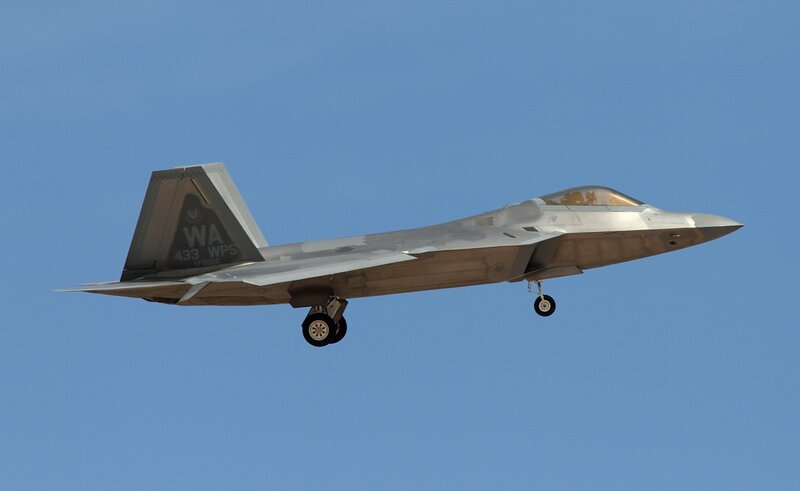 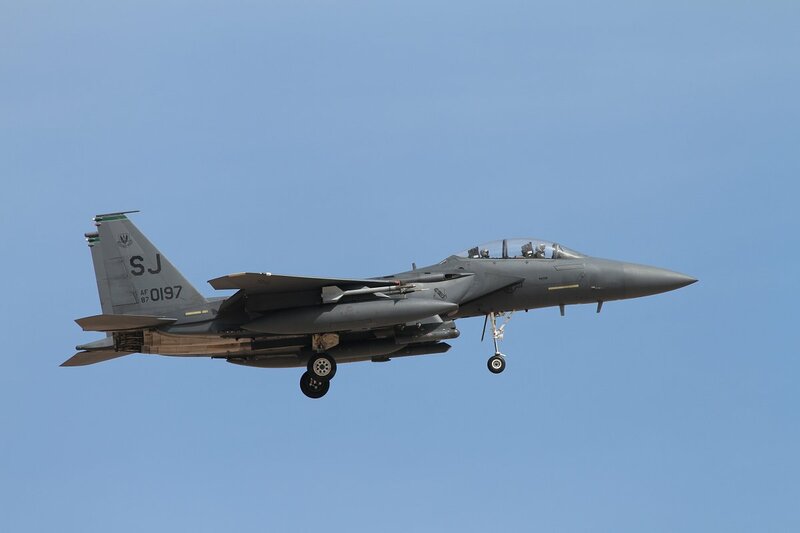 It is one of a series of advanced training programs administered by the United States Air Force Warfare Center and executed through the 414th Combat Training Squadron at Nellis AFB, Nevada. 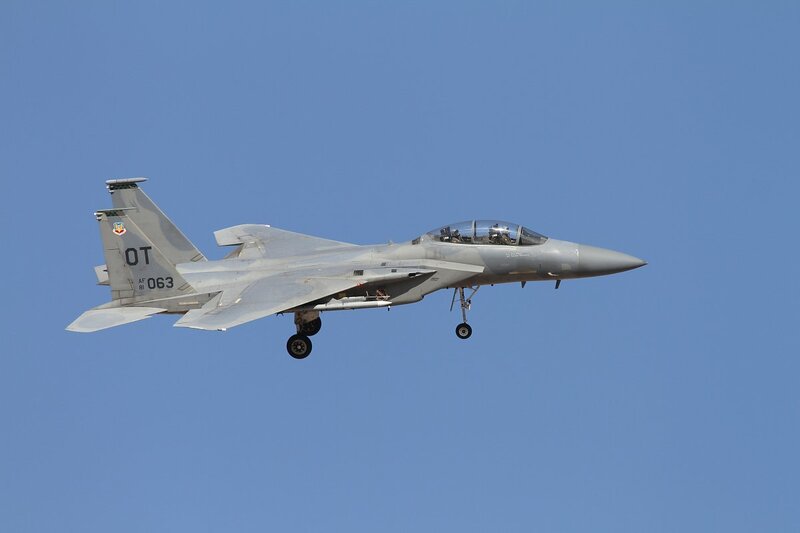 Combat aviators will test their mental and physical abilities throughout the course of the two week exercise. 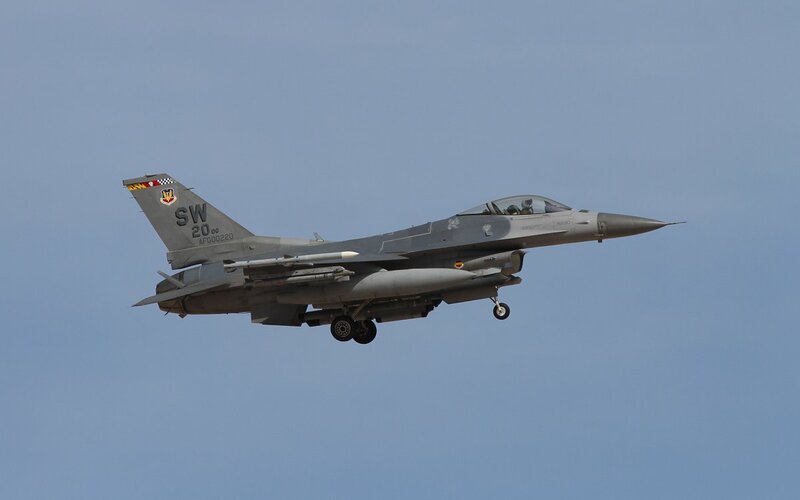 The event provides realistic training in a combined air, ground, space and electronic threat environment while providing for a free exchange of ideas between forces. 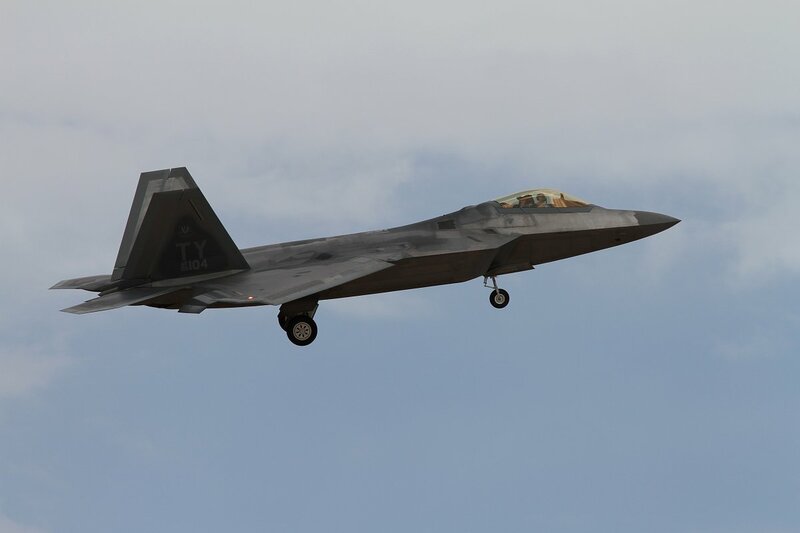 Aircraft from various units and air forces arrived at Nellis AFB, Nevada from July 9-11, preparing for the official start of Red Flag 14-3. 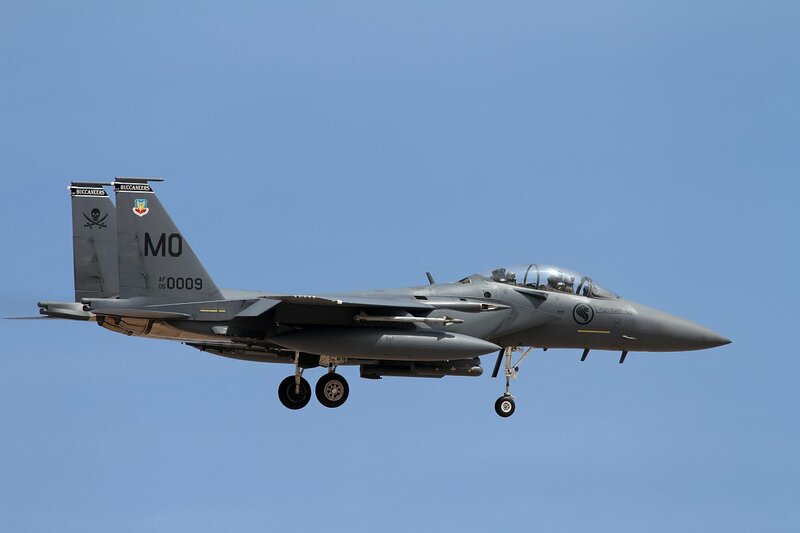 The exercise lasted two weeks, from july 14 -25. 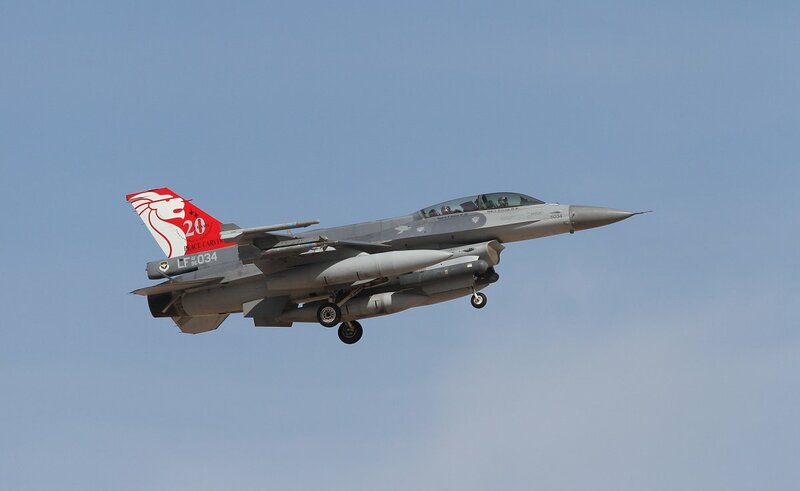 On my trip with 4Aviation, a dutch aviation tour operator, we visited Nellis AFB to witness the Red Flag 14-3 exercise at the well known spot near the Speedway on N Las Vegas Boulevard. 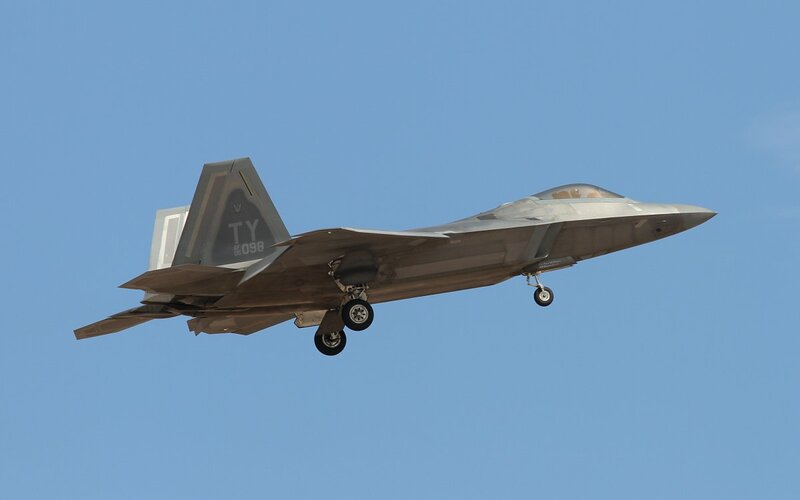 Monday and Tuesday of the first week (July 14th and 15th) we were able to make shots of departing and landing aircraft. 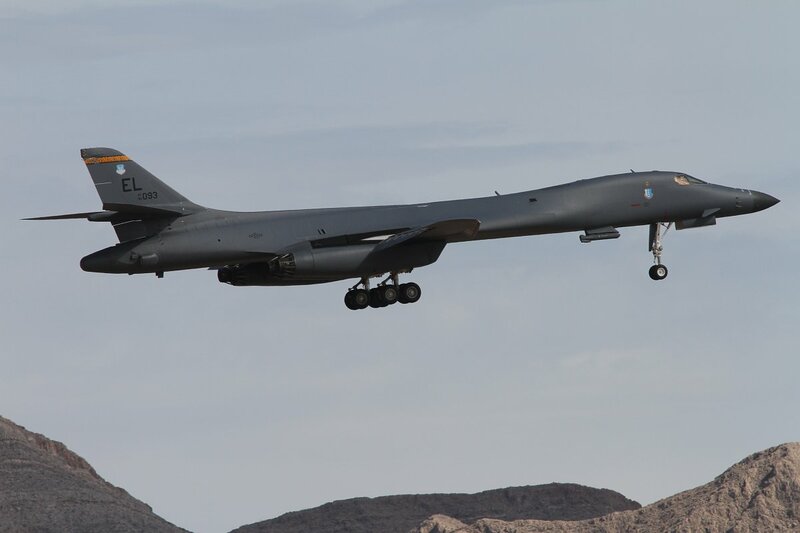 As usual at Nellis, you can’t have them all, for a lot of recovering aircraft take runway 21L instead of 21R. 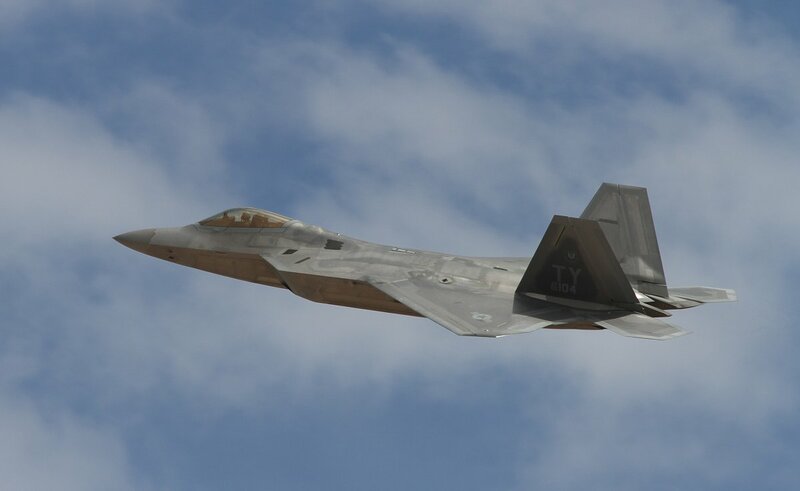 On top of that, many pilots who did take 21R made a wide turn, instead of making a nice incoming flex over the Speedway. 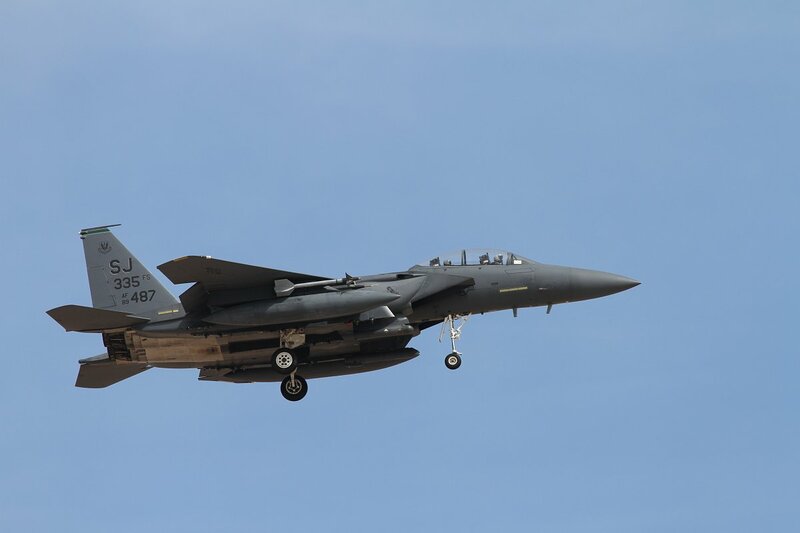 F-15SG, assigned to the 428th Fighter Squadron at Mountain Home AFB, to the runway. 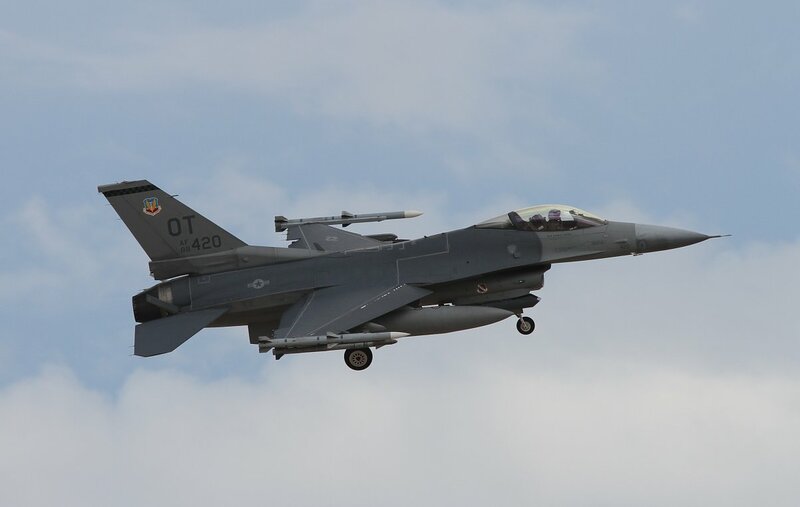 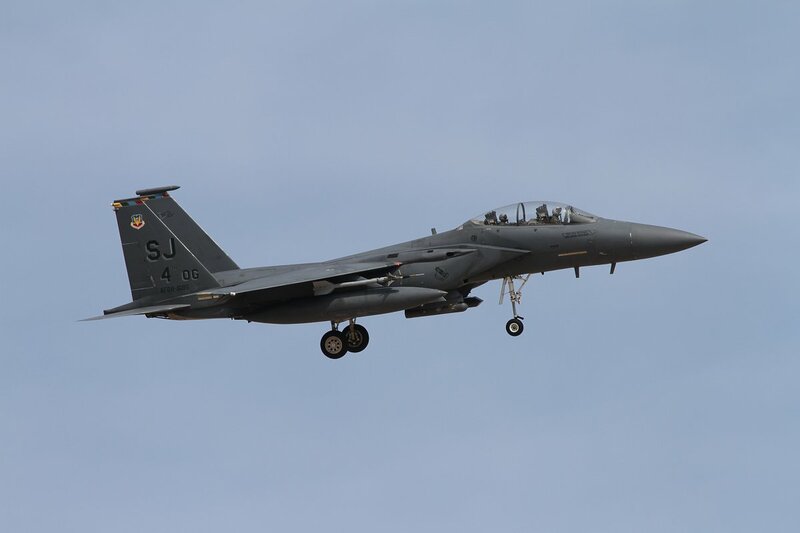 The U.S. Air Force reactivated the 428th Fighter Squadron at Mountain Home Air Force Base, Idaho as part of the Peace Carvin V program — an international partnership between the United States and Republic of Singapore. 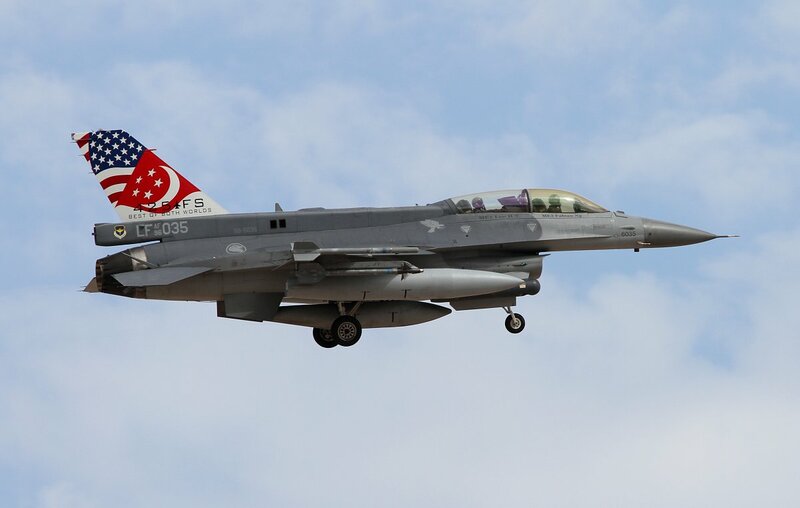 Also during this Red FLag, the flying was in two “waves” of sorties per day (Monday through Friday). 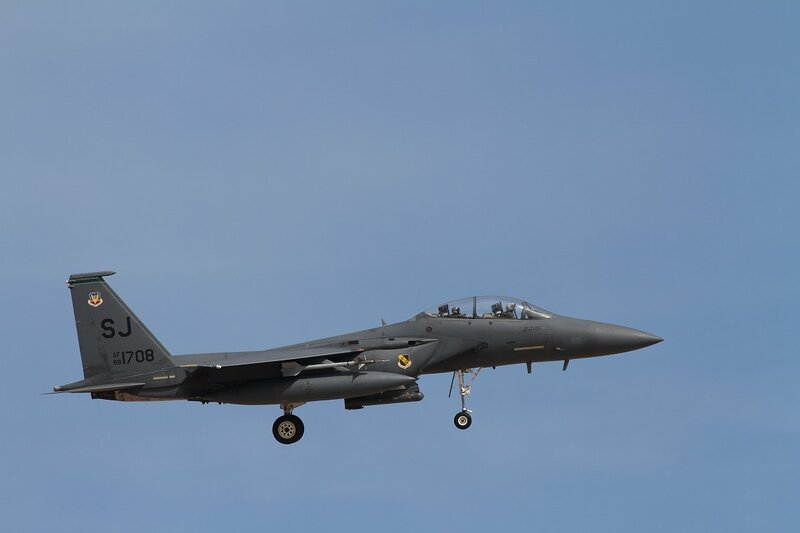 At approximately 12:30PM daily, the first wave launched. 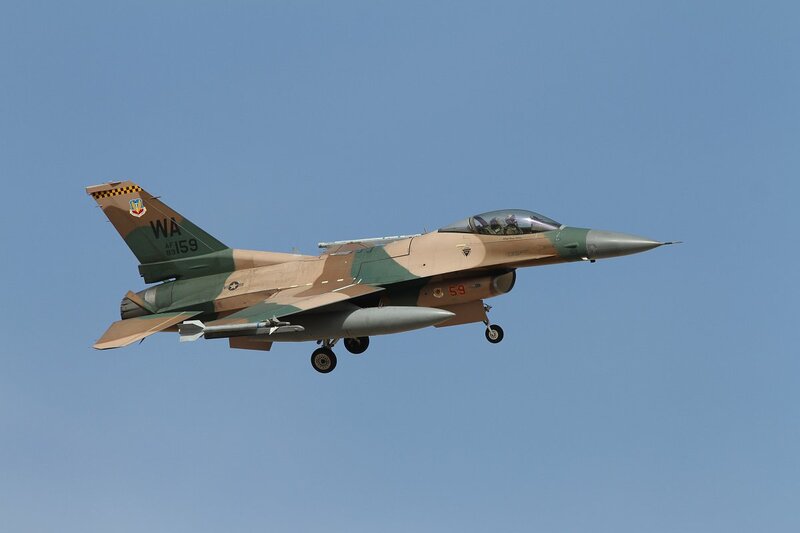 The evening sorties typically started at around 8PM and lasted until approximately 11PM. 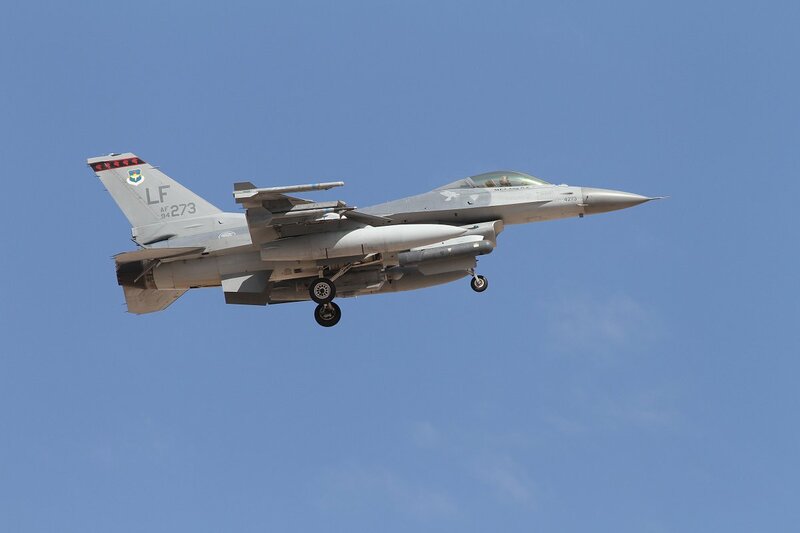 The participating units provided diverse mission elements to train in multiple scenarios, fostering interoperability and ensuring the many facets that build the nation’s Air Force are ready to apply their experience and knowledge in real world conflicts. 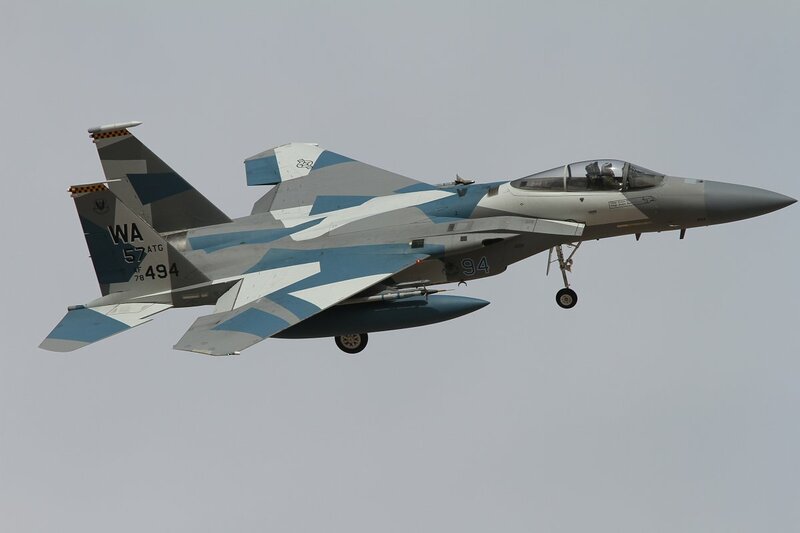 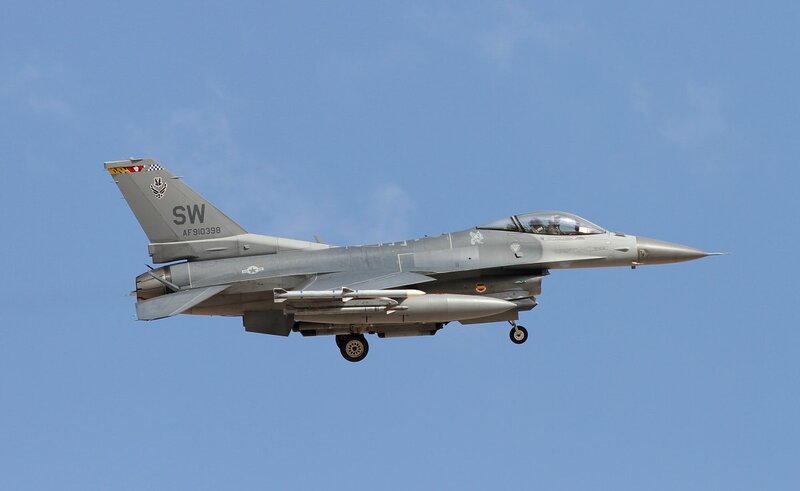 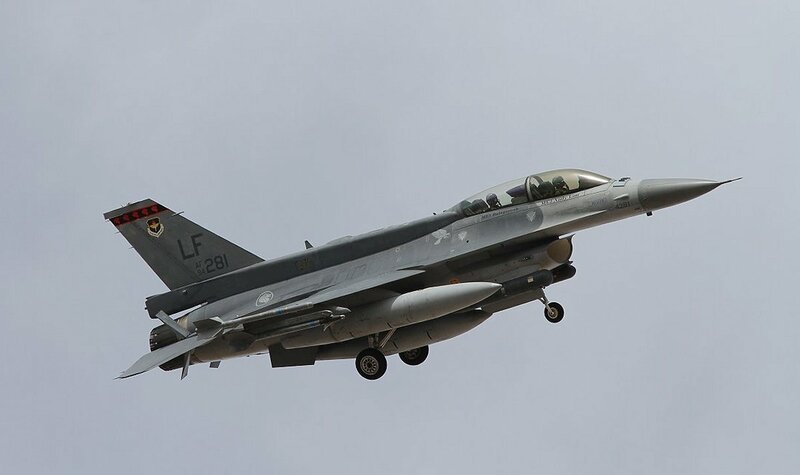 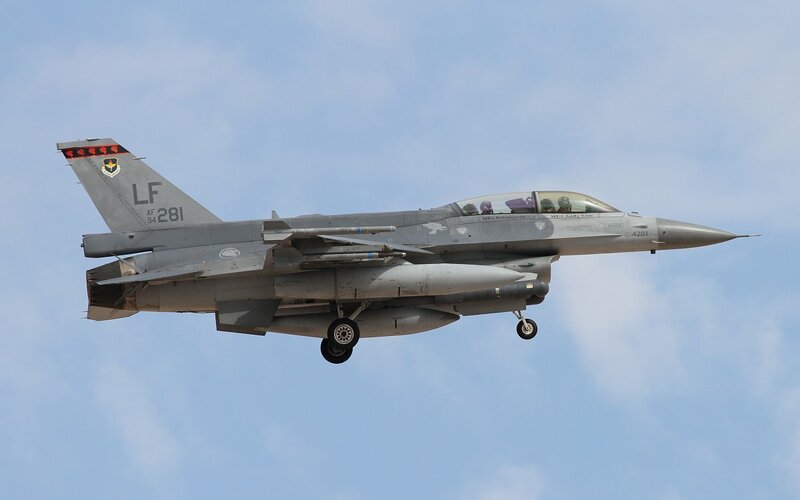 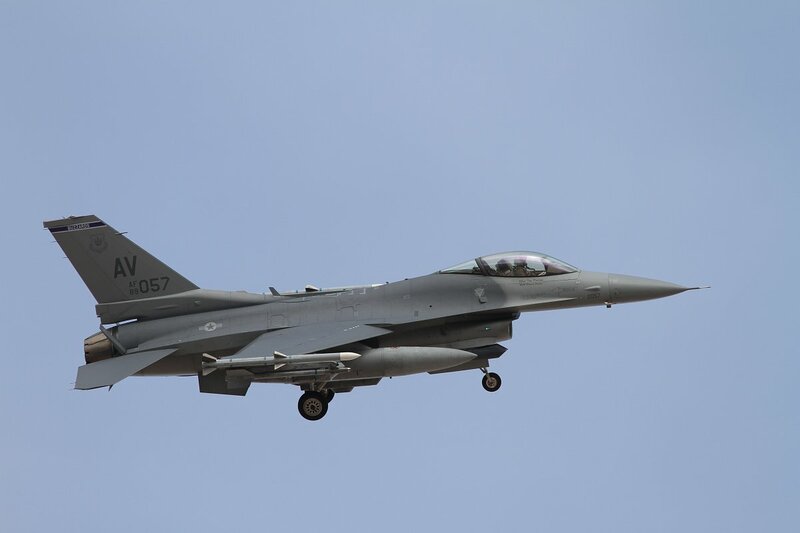 In Red Flag, the “good guys,” as they are sometimes called, square off against camouflaged-colored, would-be enemy F-16s and F-15s from the 64th and 65th aggressor squadrons at Nellis. 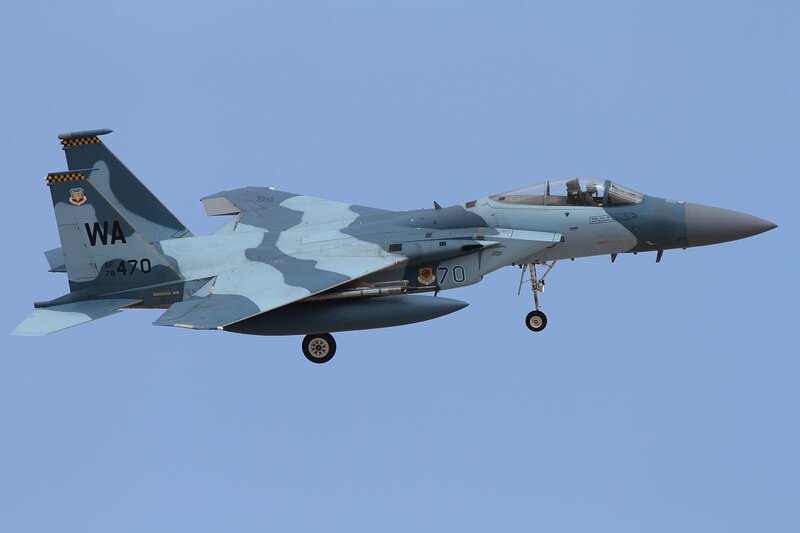 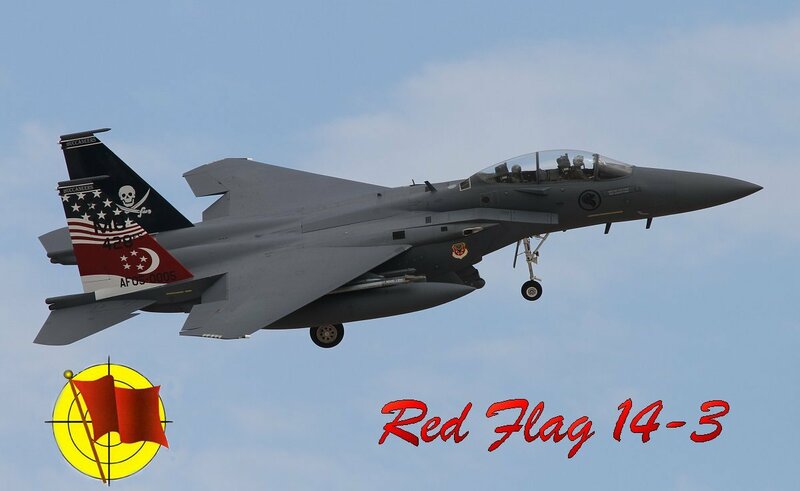 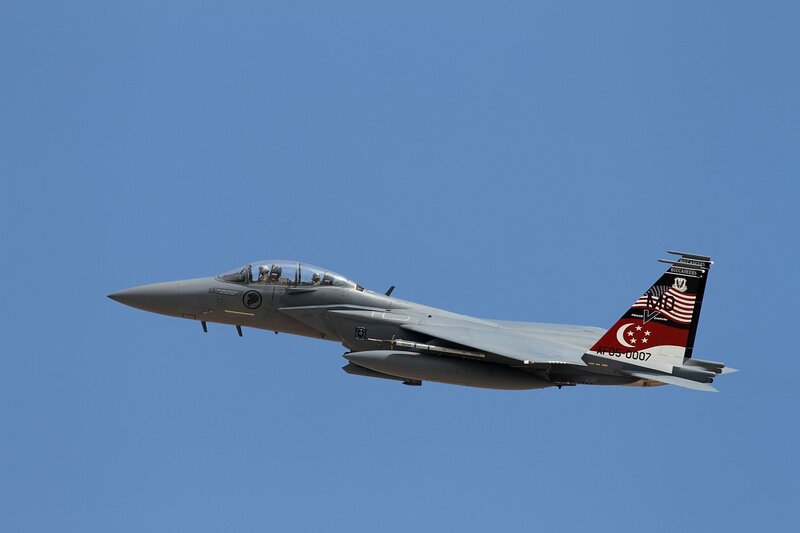 Red Flag 14-3 again concentrated heavily on the capabilities of the F-15 and F-16 fighters. 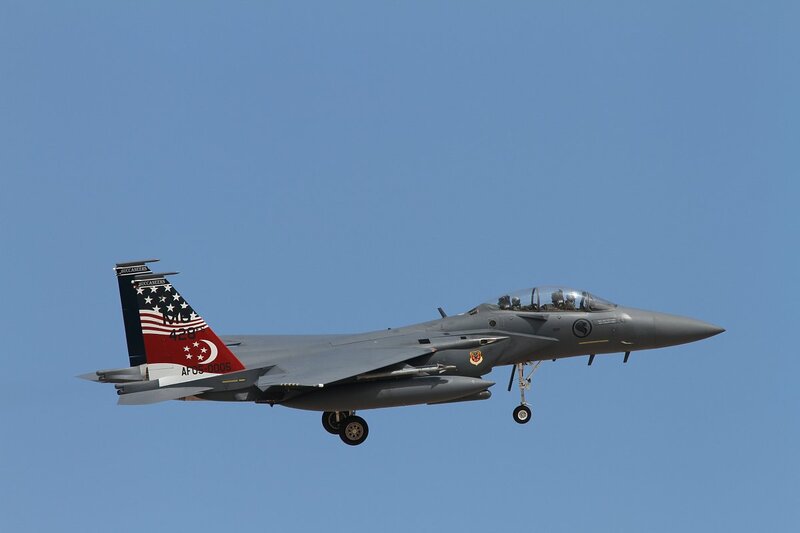 From the state-of-the-art F-15s and F-16s from Singapore, to the F-15s and F-16s from various USAF(E) units, a variety of both types were represented. 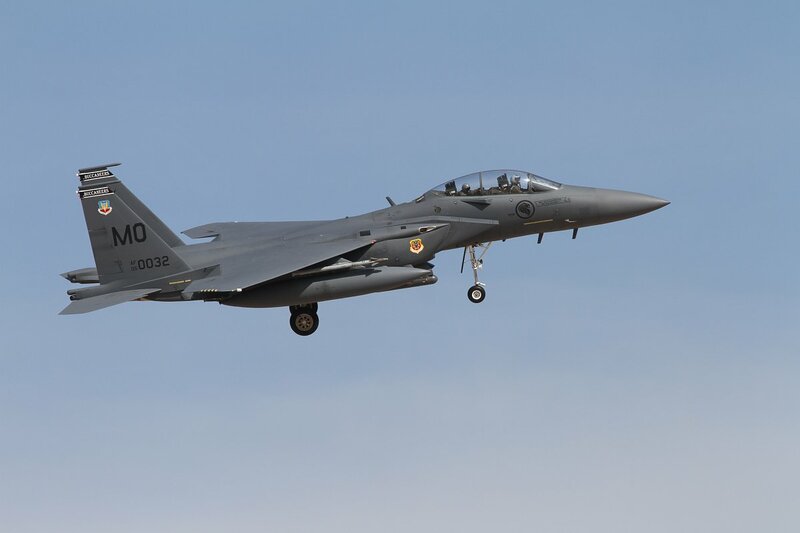 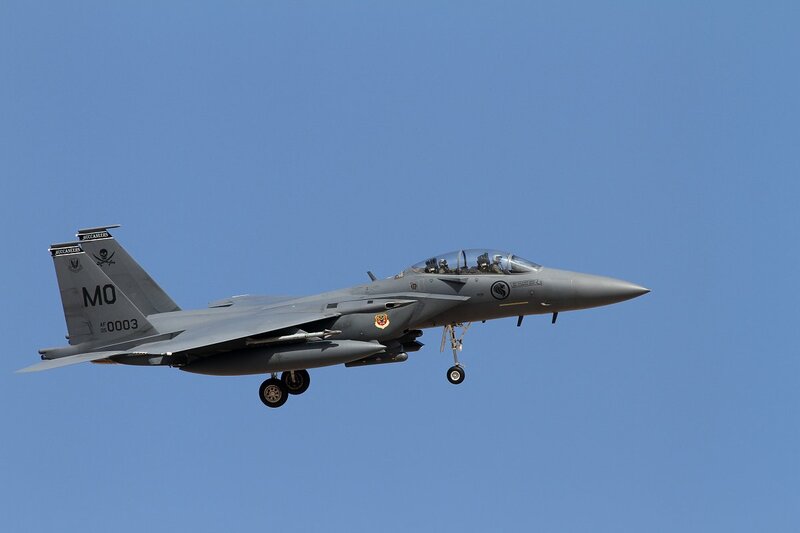 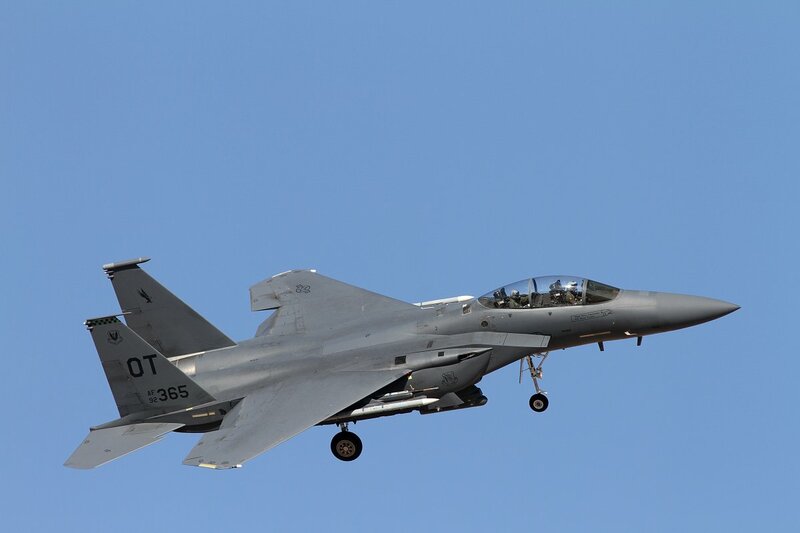 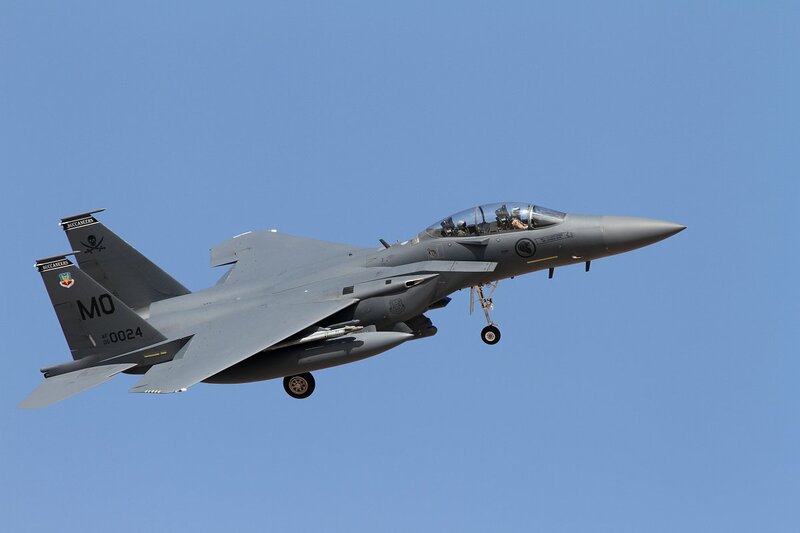 While lacking some of the more exotic aircraft that have participated in past Red Flag exercises, the pilots of the F-15’s and F-16’s showed why these aircraft are the mainstays of many air forces worldwide.